I have written a review on the Samsung NX300 covering most of my opinions and comparisons against the earlier NX models. In this post, I will focus on the image noise review. In theory, a large image sensor size delivers fewer image noise. In general, the previous NX cameras did well in image details and noise at lower ISO, but beyond ISO 1600, they did not do so well compared to the competitors. Will NX300 fare better at extreme ISO? 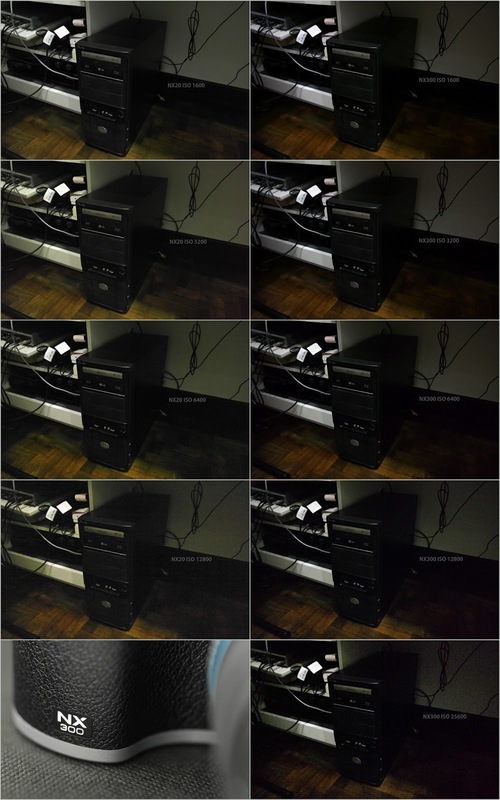 Here’s how NX300 (right column, ISO 1600-25600) fares against the older NX20 (left column, ISO 1600-12800), shot with the same exposure setting. Save the image to your local desktop and zoom-in to pixel peep. NX300 exposure metering seems to be a tad underexposed. 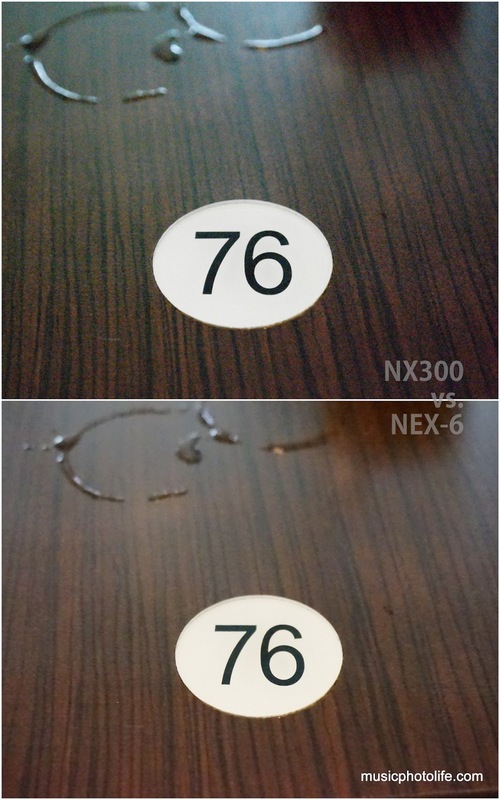 The amount of noise between NX300 and NX20 appears to be similar, but the NX300 noise is more natural while the NX20 noise appears with banding. Here’s comparison shots of the NX300 with the Sony NEX-6 (same exposure settings, at ISO 25600). The images further confirm that the NX300 is conservative in the exposure metering, more aggressive in white balance, and processes images in higher contrast. 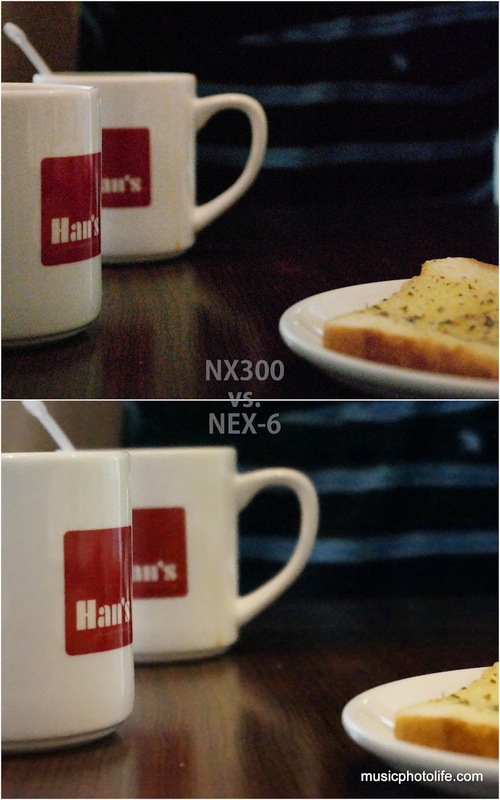 The Sony NEX-6 is still unbeatable when it comes to chroma noise reduction, but at the expense of image details. The NX300 is already an improvement against the older NX models, where images at ISO 12800 are practically unusable in full resolution. In this post, I am pushing the NX300 beyond what most of us would be using. Sadly, NX300 Auto ISO only allows up to ISO 3200. Samsung is too modest: it should allow Auto ISO up to 6400 because noise is really good enough for most consumers, and allows us to shoot at higher shutter speeds.